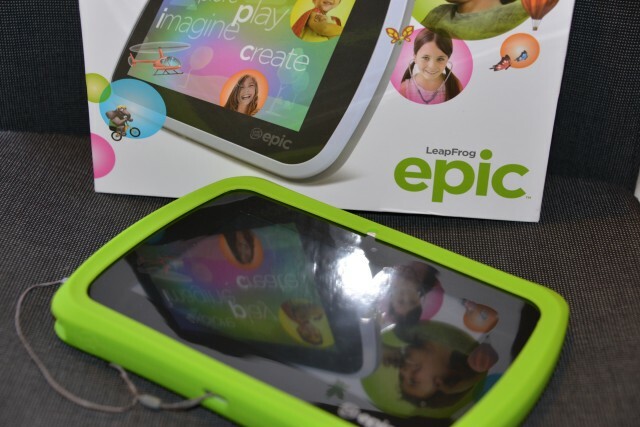 As LeapFrog Ambassadors we’ve been lucky enough to test several of their tablets and I’m pleased to say that the LeapFrog epic is the best yet! I am so impressed. The Epic is LeapFrog’s most advanced Android-based tablet, uniquely designed to grow with your child, to ignite endless learning and creative play. It looks fantastic, feels great, is very intuitive and super fast. The home screen is customisable and playable, which is REALLY cool. Very easy to navigate with a familiar feel. Real time weather and a clock, which made them feel very grown up! The battery lasts about 6 hours, which means you don’t need to charge too often! We haven’t yet given our children even a restricted level of internet access, they are completely supervised when on my computer and our iPad is always in airplane mode when they use that, so I was very pleased to find that the epic has safe, out-of-the-box web access which will allows me to introduce the kids to the wonders of the internet slowly and safely. As well as LeapFrog approved sites, parents can also add their own approved sites and even allow a full web browser when the child is ready. Thanks to LeapFrog’s, Just for Me Learning™ technology some games are personalised to challenge children as they grow, which is one less thing for me to think about. All apps are free from adverts and in app purchases. LeapFog has a huge variety of apps available including popular android apps. Parents can set how long children can use the tablet for, these controls are available for three users, which is perfect for me and allows me to set different levels for each child. 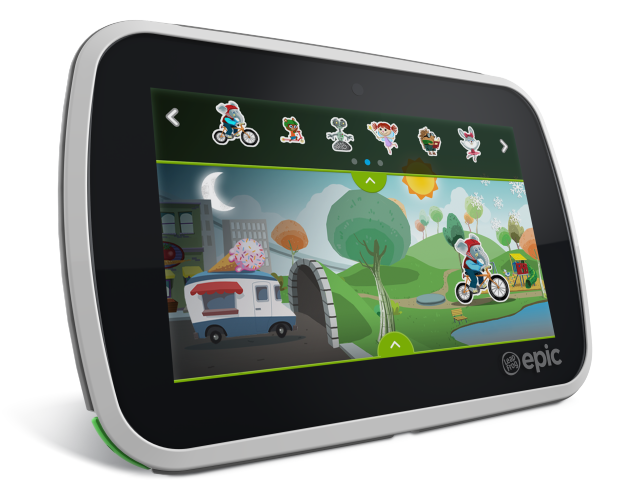 The LeapFrog Epic comes with a parent guide and easy quick start guide making set up super simple, kids can be playing within minutes. The headphone jack means children can play and keep the noise to themselves. I love that apps we’d already purchased for other devices were automatically downloaded to the epic once I’d signed in with my LeapFrog account. Although the epic resembles a traditional tablet more than a tough kid model it does have a chunky bumper to protect it, alternatively the cover can be removed for older children. The built in stylus means it won’t get lost. The Epic has a 7-inch multi-touch capacitive screen and a quad-core 1.3 GHz processor,with 16 GB of internal storage along with Wi-Fi and Bluetooth connectivity, and 2-megapixel cameras front and rear. The LeapFrog EPIC is a great kids’ tablet, we love the sleek but rugged design and huge choice of apps. It’s definitely the best we’ve seen from LeapFrog so far and holds it’s own against other child friendly tablets. All in all we’d definitely recommend and can’t wait to play with ours more. We were sent the LeapFrog epic for the purpose of this review.